With some of Canada's most magnificent golf courses and ski slopes within close proximity, Canmore is the perfect launching pad for both summer and winter activities in the Canadian Rockies. But golfing and skiing are not the only attractions in Canmore. In the summer, Canmore is the ideal destination for hiking or biking, white-water rafting, kayaking and fishing. In the winter, snow-shoeing, ice walking, ice climbs and even dog sledding are popular Canmore activities. Of course, Canmore has matured into a landmark for food and wine as well. Stay at Grande Rockies Resort. Take an expertly guided tour on the stunning glacial waters of the Bow with views of the majestic Canadian Rocky Mountains not seen from town. These family friendly tours are the perfect adventure for nature lovers of any age or ability. Bellstar guests save 10% off River Tours - use code GRANDEROCKIES10. Book online. Unbelievably clean, sipping spirits. The founders of Wild Life have grown up exploring the Rocky Mountains of the Bow Valley. 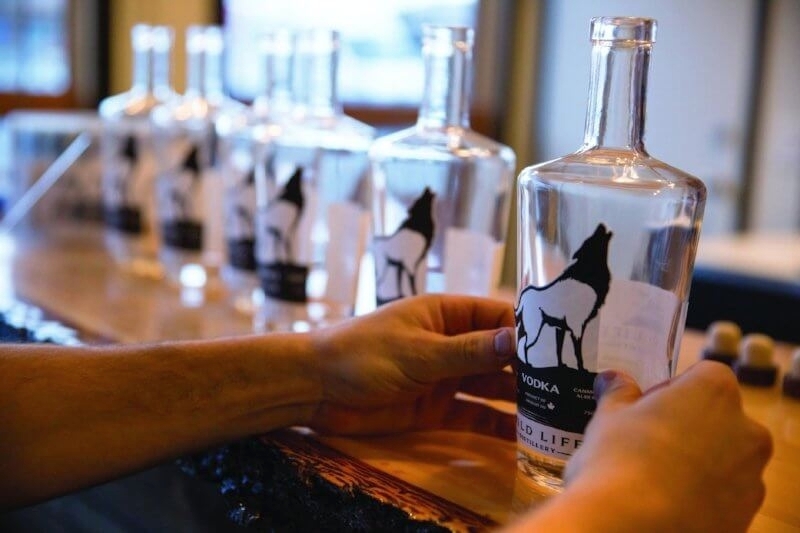 Through their craft vodka and gin production they open their hearts and lives to share insight into adventures past, present and those yet to come. Bellstar guests save 20% off distillery tours and tastings. Just mention you're a Bellstar guest. Confirm tour hours online or by phone: 403.678.2800. Eureka escape room adventures is a fully immersive interactive puzzle room where you will need to work with your team to complete an objective in under 1 hour to win. Rooms are themed and designed completely different, with no room having the same objective. You will need to figure out the puzzles in order to complete your task. Bellstar guests save 10% off escape room bookings - use code BHRD10 when booking online. Experience white water rafting at Canadian Rockies Adventure Centre. River rafting is a highlight of any summer trip to Canmore, Lake Louise, and Banff, and the Canadian Rockies Adventure Centre can plan the ideal whitewater adventure with a choice of half day, full, and multi-day river rafting trips for the whole family. Wherever golf ranks on your list of passions, high mountain courses are among the most spectacular and rewarding golf experiences in the world. The pinnacle of Canada’s mountain golf is Stewart Creek Golf & Country Club, consistently rated among the best golf experiences in the country. Few golf courses in North America enjoy the spectacular combination of setting, extraordinary vistas and fantastic golf. Designed by Canadian Golf Architect Gary Browning in 2000, it continues to be a favorite among returning guests, and a discovered jewel for new visitors. With breathtaking views of the Three Sisters, Cascade, Pigeon and Ha Ling Mountains, Stewart Creek is a course that no one who has had the opportunity to experience will soon forget. Canmore Cave Tours offer an underground adventure! Numerous tours of Rat's Nest Cave near Canmore, Alberta are offered year-round with varying lengths and activities from 2 hours to 14 hours. The alpine cave lies under Grotto Mountain and features more than 4 km of passages, which are generally mild in temperature. Enjoy a horseback riding adventure at the Canadian Rockies Adventure Centre. See the Canadian Rockies on horseback rides that wander through alpine forests and rugged Bow Valley benchlands, which offer unforgettable mountain views. Snowy Owl Sled Dog Tours offer dog sledding adventures with a team of huskies through timeless valleys and across scenic bridges. En route to Snowy Owl, enjoy a charming stop at Goat Pond. At trip's end, a campfire, cookies and hot beverages await. Enjoy cross country skiing on hundreds of kilometers of trails suited to all skill levels. For beginner skiers, hit the Banff Trail in Canmore Nordic Centre Provincial Park and Sheep Valley Provincial Park's Sandy McNabb cross-country trails. Intermediate and Expert skiers will discover challenges at the Evan Thomas Provincial Recreation Area. For trail information, visit the Alberta Parks website. The Banff Mount Norquay Ski Resort has 28 runs, which are 85% covered by man-made snow. The ski area features a wide array of runs for almost all ski levels with 16% of runs rated expert, 28% rated difficult, 36% rated medium, and 20% of runs rated easy. Banff Mount Norquay offers a vertical drop of 503 meters/1,650 ft and night skiing from January to March. Alpine Helicopter sightseeing tours provide rare and dazzling views of the Canadian Rocky Mountains. Featuring a facility for the comfort of tourists, the tours depart from the Canmore Municipal Heli-port which is adjacent to Banff National Park and located near the Three Sisters Peaks. All tours have a 2 passenger minimum. Visit www.alpinehelicopter.com.